Solid state drives offer performance gains over spinning disk, but sometimes that’s not enough to overcome the disadvantage of space limitations off SSD drives. A year ago Toshiba Group’s OCZ Storage Solution division brought out an answer with its ZD-XL SQL Accelerator card for caching and optimizing data held by Microsoft’s SQL Server. Today it released version 1.5, which supports SQL Server 2014. The new version less database administrators use SQL Server 2014’s flash Buffer Pool Extension (BPE) support, so that database pages can be accessed faster by loading them directly from flash. It also has tight integration with SQL Server management enabling acceleration at a per database level versus having to accelerate all of the databases files on disk. This provides fine granularity for selecting only those database files that need to be accelerated, the company said. There’s also support for running SQL in a virtualized environment via VMware ESXi and Microsoft Hyper-V enabling the flash resources to support multiple virtual machines (VMs) running SQL Server workloads concurrently. High Availability (HA) through the Microsoft AlwaysOn Availability Group is supported as well. Finally, OCZ said remote flash services enabling SQL Server to run on blade servers so they can benefit from the high-performance and high density of PCIe flash storage. 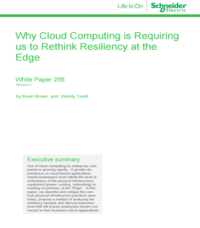 This enables a remote connection over the network between SQL Server and the PCIe flash resource to deliver remote flash caching via OCZ’s proprietary Direct Pass Caching Technology. 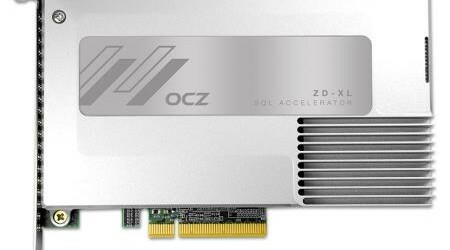 Internal testing performed by OCZ delivered over one million TPMs for a sample of 50 virtual users when ZD-XL SQL Accelerator 1.5 was located in the same server as the SQL application, the company said. This represented a TPM increase ranging from 18 to 22 times for a local spinning disk-based configuration. For larger enterprises/data centers that use ZD-XL SQL Accelerator 1.5 in a traditional SAN storage environment, OCZ said the embedded software can cache large database files from the SAN onto server-side flash either locally or remotely. As a result, ZD-XL SQL Accelerator 1.5 achieved accelerated TPM performance up to 5x dependent on the performance of the SAN and the number of virtual users supported. Though performance gains may not be as high as an SMB using a local HDD configuration, performance is improved over a SAN while keeping the data highly available. The card comes in a full length/half length (FL/HL) format in 800GB (US$2,950), 1.6 TB (US$4,800) and 3.2 TB (US$8,200) usable capacities.